The First Rum from La Confrèrie du Rhum! 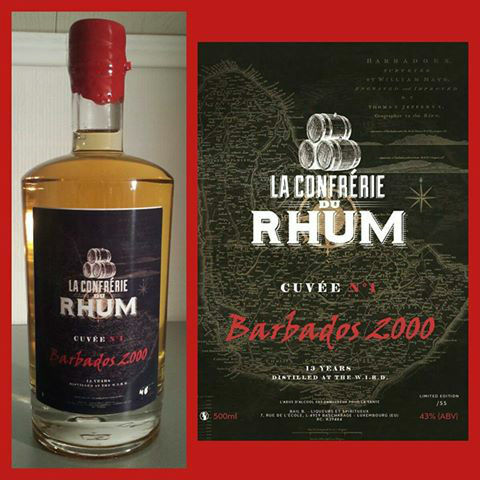 “La Confrèrie du Rhum” is a french rum forum on Facebook where everything rum/rhum/ron is discussed and was created by Benoit Bail in early 2013. Today “La Confrèrie” has 3600 members and of course i`m one of them! and the amount of things i`ve learnt especially about rhum agricole in this french speaking (they speak english too) 🙂 group is not bad. The members are all rum lovers and professionals from the industry (salesmen, producers, distilleries, bottlers, barmen/women etc) from the rum world. In this very active group everything about rum is discussed, and pictures, rum reviews, websites and ideas are shared almost round the clock and in the past 18 months the group has grown rapidly. On general demand Vincent, Jerry and Benoit, who are the hosts of the group, decided to bring on a first special bottling named after the group, which should be sold to it`s members in january 2015. This ultra limited edition bottling which counts 55 bottles of 500 ml, comes from Barbados and remembers by this way the beginnings of history of rum. Distilled at the W.I.R.D (West Indies Rum Distillery) in 2000, this rum has been aged in American oak casks during 13 years, partly in Barbados and then in Germany and has finally been bottled in 2014 for the Confrèrie du Rhum. The bottle has been waxed by Benoit to give them a better look and to combine the red wax with the red writing on the black label which hides a map of the island in the back. I think the label is really nice! i like how the red contrasts to the black label and how the wax matches the red text. I also like the map of Barbados in the background. 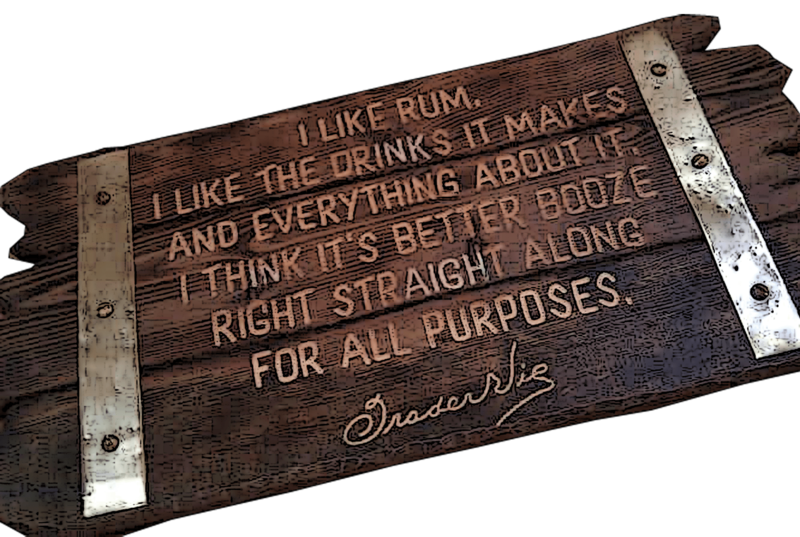 The rum has a golden color and the nose is that of “deep barrel” if there´s such a description…there´s wood and tropical fruit, slight hints of vanilla..and something “medical” but not unpleasant! So how does this rum taste to me? well, i must say really good! The taste is very pleasant with the same tropical fruit notes as in the nose, black pepper, liquorice, sugarcane and wood with a rather dry finish with a slightly astringent after taste which i really like and a plus in my book is that i cannot detect any extra sugar in this rum! 🙂 I also find it has a slight smoky note to it, a bit of earthiness. The rum is 43% ABV. 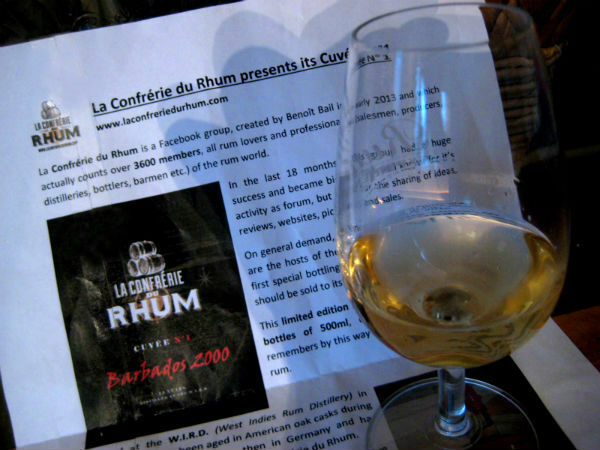 This marks the beginning of what i hope to be the first of many more rums for La Confrèrie du Rhum! Well done Benoit Bail, Vincent Bidault de Villiers and Jerry Gitany! Next PostNext Rum from Cuba – Ron Cubay! Why is it that crushed ice makes everything in life so much better? probably because there´s RUM in it…. 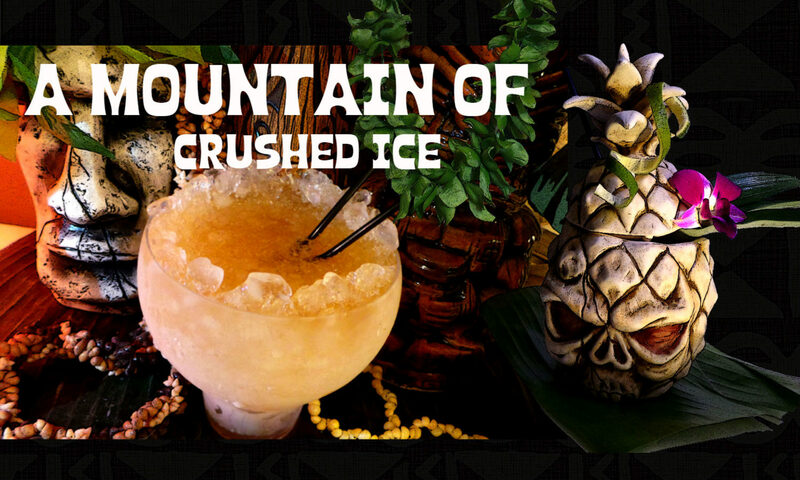 Nu Lounge Bar Tiki XMas Tribute to the Mai Kai Party & a Tasty Dessert with Alamea Spiced Rum! Cachaca and Rhum agricole, what`s the difference? Check out my review of Latitude 29! 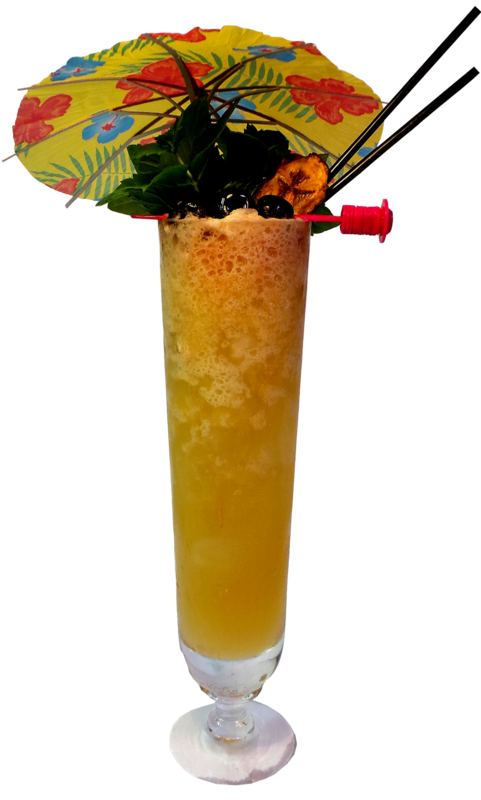 Set the MAI TAI Straight! Learn how to easily open a coconut and mix up a tasty Coconaut. The seven factors – components that effect the flavor of Mezcal. Rhum arrangè at the restaurant Le Saint-Bernard on La Rèunion island. TDN Mata Hari at Tabard Inn – what is TDN? check it out. FINE Drinking takes a peek at TIKI!